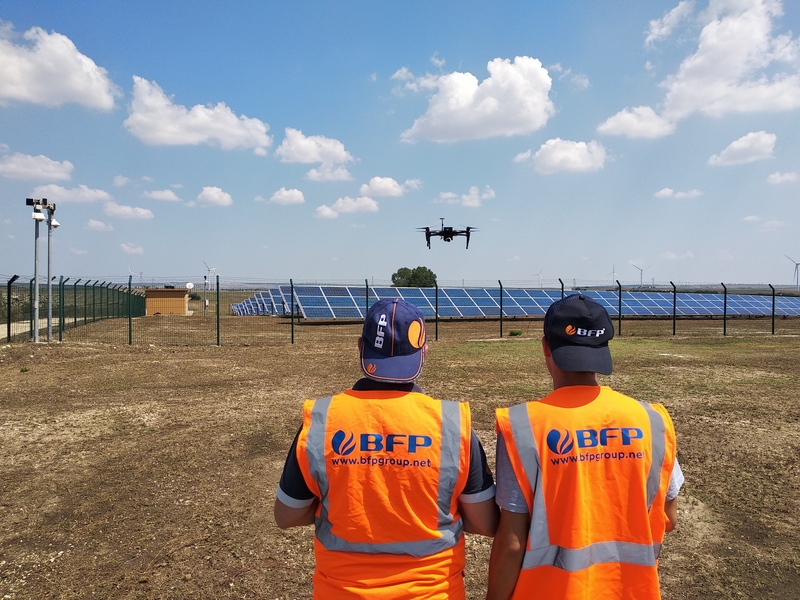 To increase quality and speed of plant inspections for a high-quality technical due diligence and an intelligent predictive maintenance, BFP purchased one of the best professional drones on the market, the DJI Matrice 100 equipped with Zenmuse X3 and XT FLIR radiometric camera. 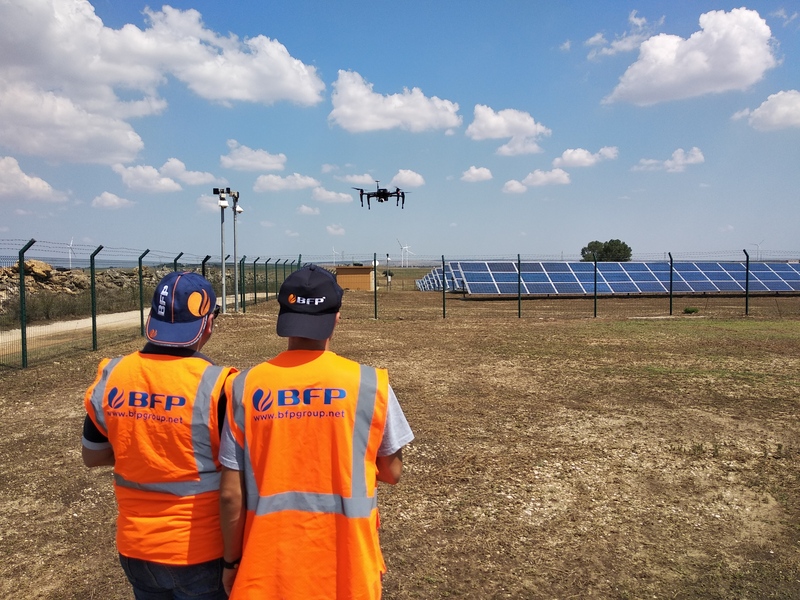 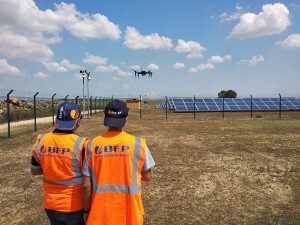 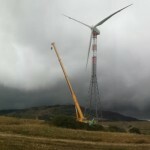 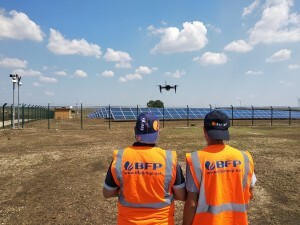 Thanks to the drone technology, BFP is now able to carry out in real time safe and efficient inspections on solar and wind farms, guaranteeing a rapid maintenance scheduling and a higher work safety and efficiency for inspectors. 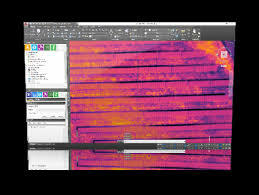 The efficient drone technology is supported by the acquisition of two important and powerful softwares: Pix4DMapper to generate a 3D map from aerophotogrammic pictures, and Analist 2018 to generate topographic surveys and thermographic reports.